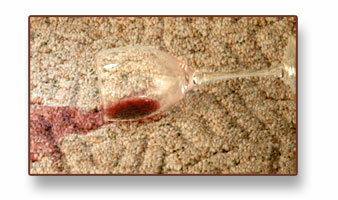 Carefully remove as much of the spilled substance as possible. If there is a residue or discoloration, waiting 24 hours to complete the spot cleaning procedure will normally be OK. The magic word is blot! Please call us if you need our help or have any questions! We will gladly walk you through any necessary procedures that you can do yourself. There are times and situations when it is more appropriate for a trained professional to perform certain delicate procedures. We will be glad to assist you in those cases. Ulrich-Bunce Carpet and Upholstery Cleaning believes in the highest degree of professionalism and expertise. We are certified by the IICRC (certification 273) to assure you the highest quality carpet care. Please don’t hesitate to call if you have any questions or you would like to make an appointment.